Making his Crawdaddy debut is Australian, Rob Tognoni. Rob and his guitar have been treading the stages worldwide for the past 35 years. He has opened for the greats - Roy Buchanan, Stevie Ray Vaughan's mentor Lonnie Mack, Joe Walsh from the Eagles, shared stages with Peter Green, Sting, ZZ Top, Bo Diddley. He has represented Australia at the Royal Wedding celebrations of Prince Frederik & Princess Mary of Denmark, performed for FIFA World Cup Football in Kaiserslautern, played from maximum security prisons in Australia to Mozart's House in Vienna plus countless other experiences that have honed his skills. Rob is originally from Tasmania, Australia and goes under the pseudonym of "The Tasmanian Devil". His style is fiery, energetic, inventive and explosive. His roots are from blues, blues rock & classic rock but also adding many other colours to the palate to give him his sound & uniqueness. Rob is also energetic & physical on stage, a performer & not just a musician. Echoes of Cream, Hendrix, BB King, AC/DC can be heard woven through his musical fabric. Rob has released 20 albums over the past 22 years through labels such as Provogue, Dixie-frog, Blues Boulevard coupled with countless, tireless tours. His shows are a true experience not to be missed. 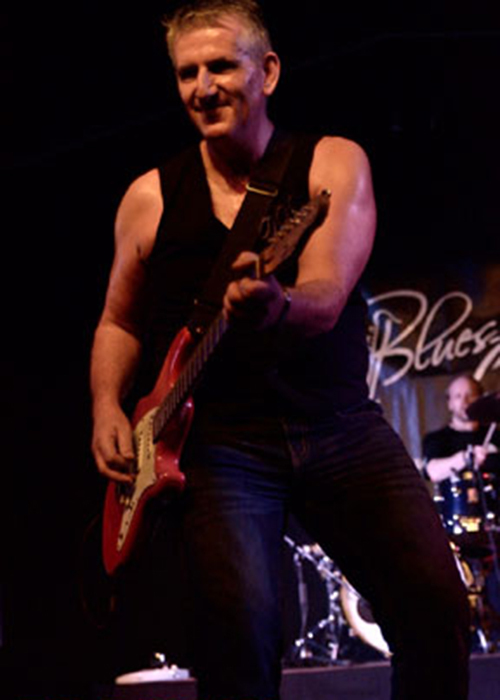 Blues in Britain write: “You have to admire Rob Tognoni's stamina. He is able to sustain a ferocious pace, few could manage it...Perhaps his stamina is the consequence of 30 years conditioning. Perhaps it's natural selection..."